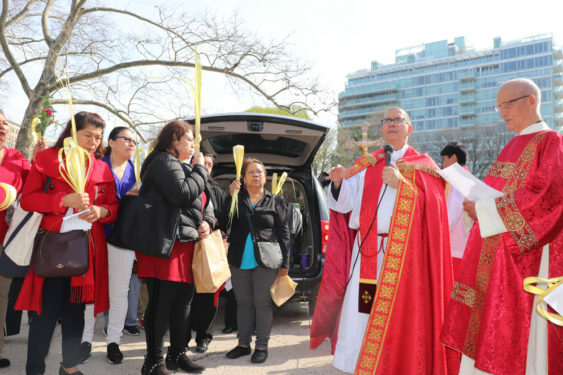 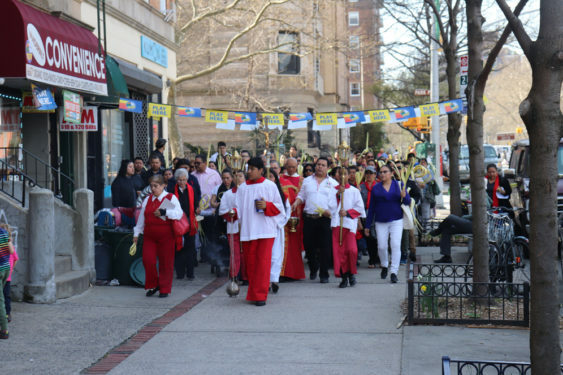 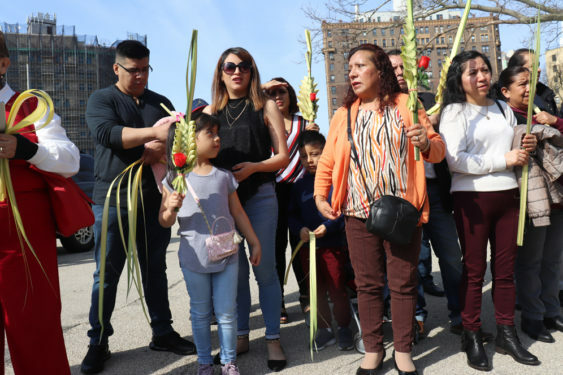 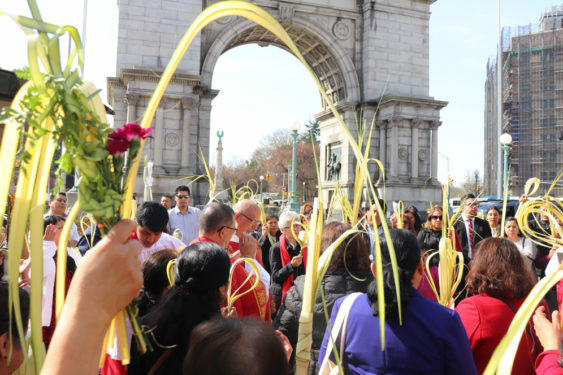 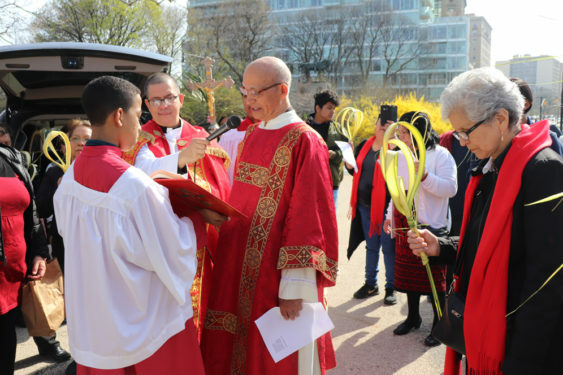 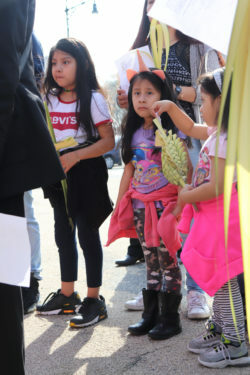 Hispanic Catholics gathered early on Palm Sunday morning at Grand Army Plaza to publicly rejoice the Love of Jesus. 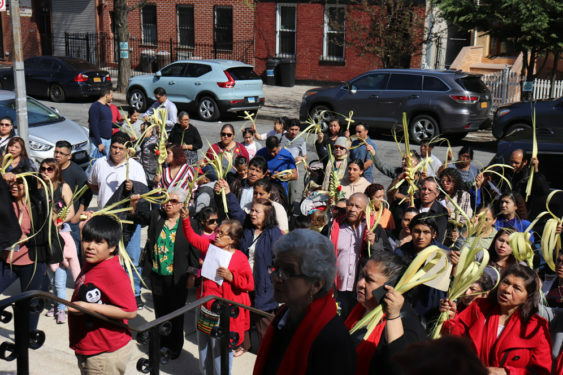 Father Israel Perez, a parochial vicar at the Co-Cathedral of St. Joseph in Prospect Heights, led the worshipers in public prayer, blessing and songs of thanksgiving. 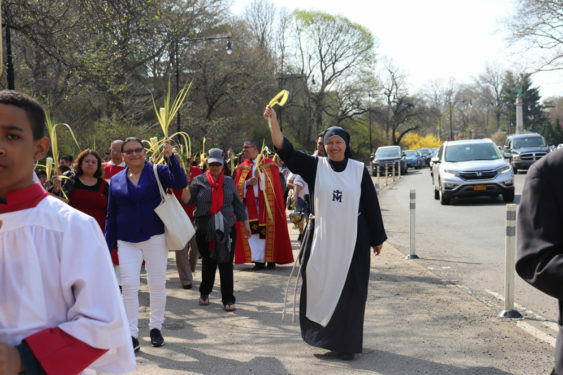 The people waved their blessed palms for all to see their joy as they processed from Grand Army Plaza through the streets of Brooklyn, passed bodegas, brown-stones, newly blooming trees and flowers, and lots of curious on-lookers. 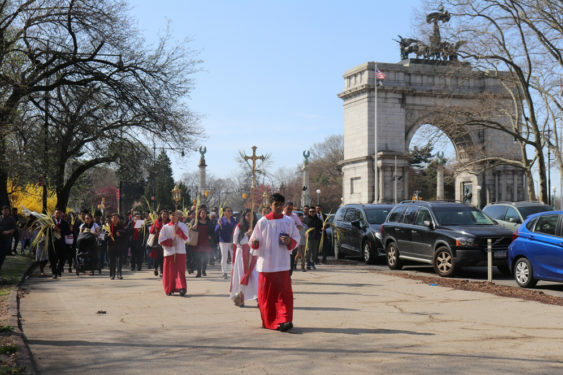 They finished their procession at the grand steps of the Co-Cathedral, where they shouted with joy: Viva! 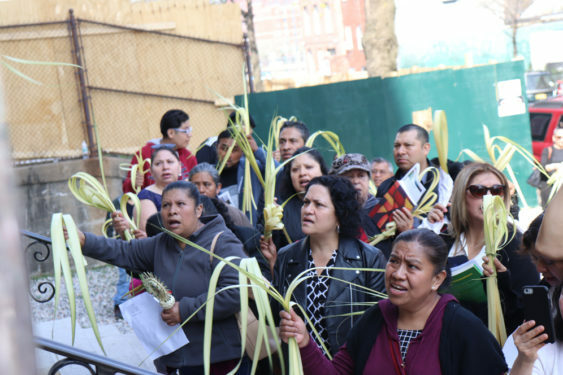 Then they celebrated the normally scheduled 10:30 Mass in Spanish.